Emissions continued from Kilauea Volcano on Hawaii’s big island in late April 2008. The Moderate Resolution Imaging Spectroradiometer (MODIS) on NASA’s Terra satellite took this picture on April 26, 2008. 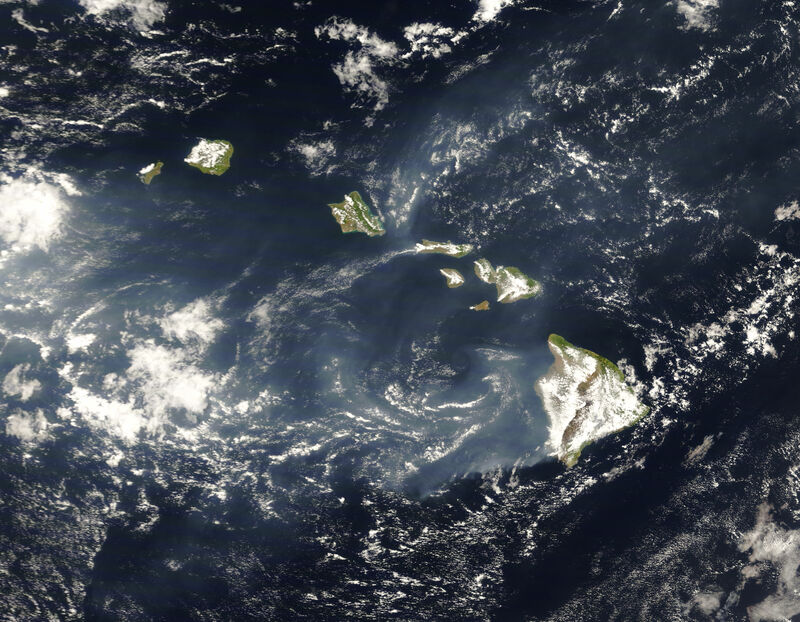 This image shows a blue-white plume of vog blowing westward over the Pacific Ocean from Hawaii’s big island. Vog (volcanic smog), results from volcanic pollutants such as sulfur dioxide mixing with oxygen and water vapor in the presence of sunlight. 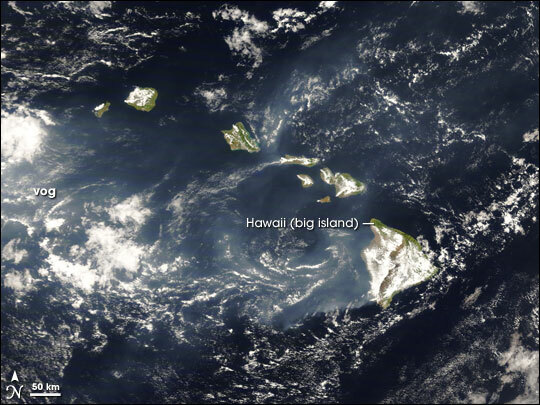 The same day MODIS acquired this image, the U.S. Air Force Weather Agency (AFWA) issued a bulletin describing vog extending roughly 280 kilometers (150 nautical miles) from the island. NASA image courtesy Jeff Schmaltz, MODIS Rapid Response team. Caption by Michon Scott. On March 19, 2008, a small explosion erupted from Kilauea's summit crater. The volcano remained active in April 2008.